Enjoy everything you love about the fit, feel and durability of a vintage t-shirt, in a brand new version. Slight scoop neck. 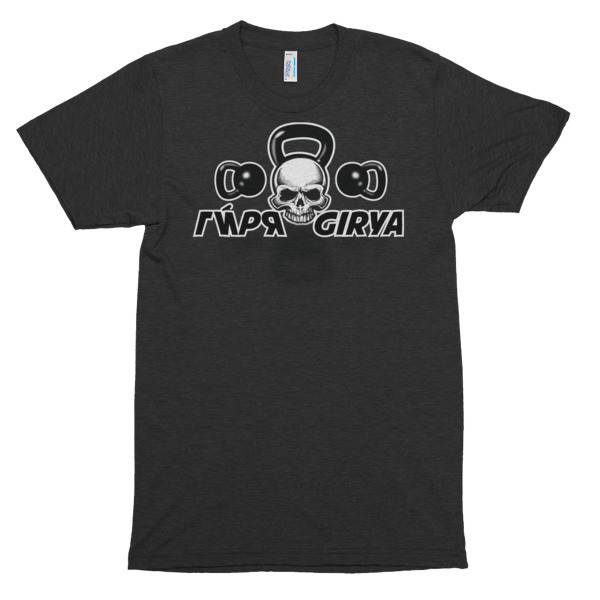 Comes with the Caveman Kettlebells print "Girya", skull, and kettlebells. Thanks. It’s literally my favorite shirt, you’re the only other person that has one.